In South America, the largest Russian diaspora is present in Argentina. According to unofficial data, it accounts around 300,000 people. About 100,000 of them are more or less proficient in Russian. The bulk of the diaspora is quite divided. The exception is a monarchical group that has its own church, nursing homes, schools and the only Russian-language newspaper in our country called "Our Country". In Patogonia there is a community of Old Believers. There are also individual Cossack settlements in the country, the largest of which is located in the suburbs of Buenos Aires. For most representatives of the diaspora, political and religious beliefs are not fundamental, although individuals identify themselves as adherents of a particular faith and a certain political trend. On the territory of the country practically in all major cities there are Russian restaurants, libraries, children's and adult leisure centers. For representatives of the diaspora there are no restrictions, they can receive both public and private higher education, open their own business and enjoy full medical help. Many Russians in Argentina are engaged in agricultural sector. About 2/3 of all food products, both vegetable and meat, are grown in the country by immigrants from Russia and CIS countries. Argentina is unique in that the attitude of the indigenous population, as well as of other diasporas to the Russian, is overwhelmingly positive. A good attitude extends not only to permanently resident Russians, but also to tourists. The only difficulty is the language barrier, since the English language in the country is not widespread, the visitor need to speak Spanish in order to communicate with the local population. 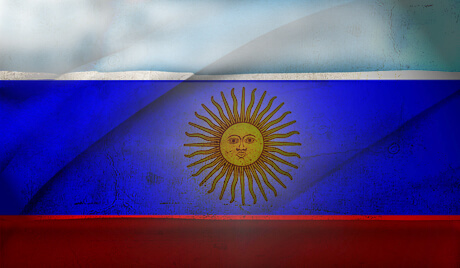 Representatives of the Russian diaspora, who have already lived in the country for a long time, either have their own business, or, after obtaining Argentine higher education, after long-term searches are arranged in well-paid places with a high level of responsibility. Without a good knowledge of the state language, one can only find a low-paid, non-prestigious job. Frequently when people come to the country they start their own business inside the diaspora, opening cafes, restaurants, children's institutions. Also, it is possible to get a job in an organization already available in the Russian diaspora, such as a publishing house, a library, a leisure center. In this case, ignorance of the Spanish language will not affect the professional activity, but it will interfere with the full life due to the impossibility to communicate with the local population, even at the elementary level. The choice of Argentina for moving to a permanent place of residence is justified by many positive moments for the Russian diaspora, which makes it possible to feel comfortable in the country. An important point is that the local culture is close enough to the one of the diaspora, which simplifies the integration process. Low food prices with their highest quality allow, even with a small amount of money, to feel comfortable and make savings to start own business or to pay for higher education. The reasonability of prices extends not only to shops, but also restaurants and catering points, as well as canteens in educational institutions. The possibility of obtaining higher education is provided to everyone in 85 higher educational institutions. There are no age limits for admission to them. There are Russian schools inside the Russian diaspora, as well as public or private schools, which are also available to the members of the community. The latter are more often preferred, despite the need to pay for studying. This is due to the higher level of education in them, and thus higher possibility to enter free education at a state university. The quality of medical care is high both in public and private clinics. In many respects this is due to the fact that according to the laws of the country, every specialist from private, even the most expensive clinics, must work 1 day per week in a municipal hospital. Despite all the dignity of life in the country, the Russian diaspora, like most of the residents, faces a number of negative aspects. First of all, this concerns the difficulties with leasing public housing due to corruption and the need to make a significant bribe for it. Also, we must not forget that many suburbs of cities are unsafe, where theft and robbery thrive. The traffic in the country is complex and dangerous. In general, the conditions in Argentina for the Russian diaspora can be called comfortable and open a lot of new opportunities. Surprised to know that there are so many russians in Argentina!